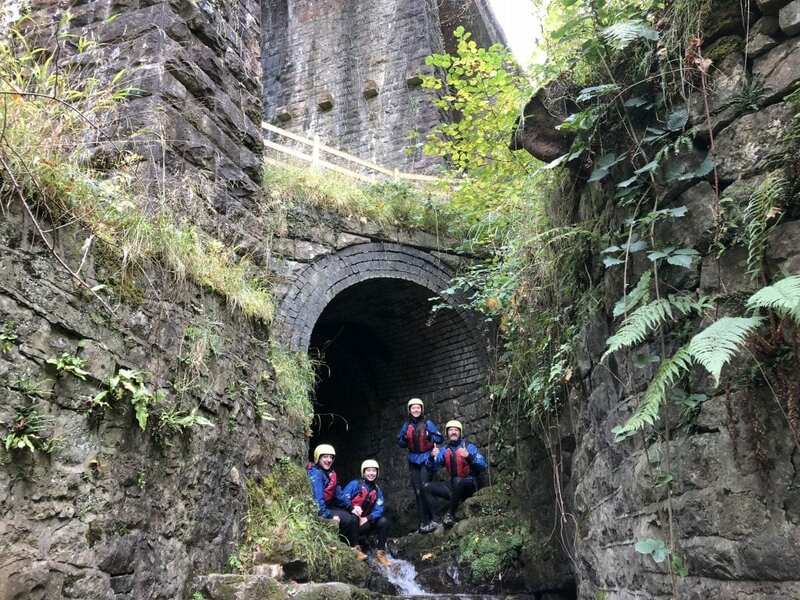 Gorge Walking / Scrambling is a fun and challenging group activity, perfect for team building, youth groups and hen and stag parties. If you like the sound of scrambling up a river, over rocks and boulders and traversing under waterfalls, then this activity is for you! 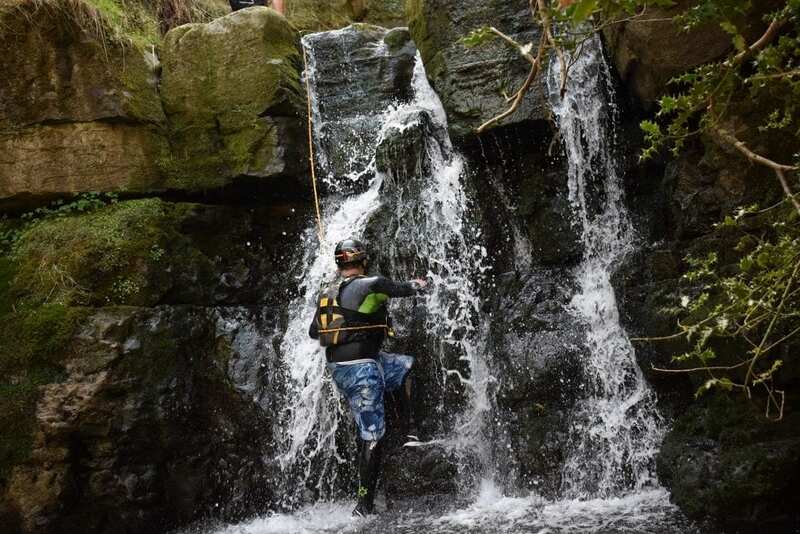 If you enjoy being in and around water and waterfalls then gorge walking / scrambling should be your next adventure! 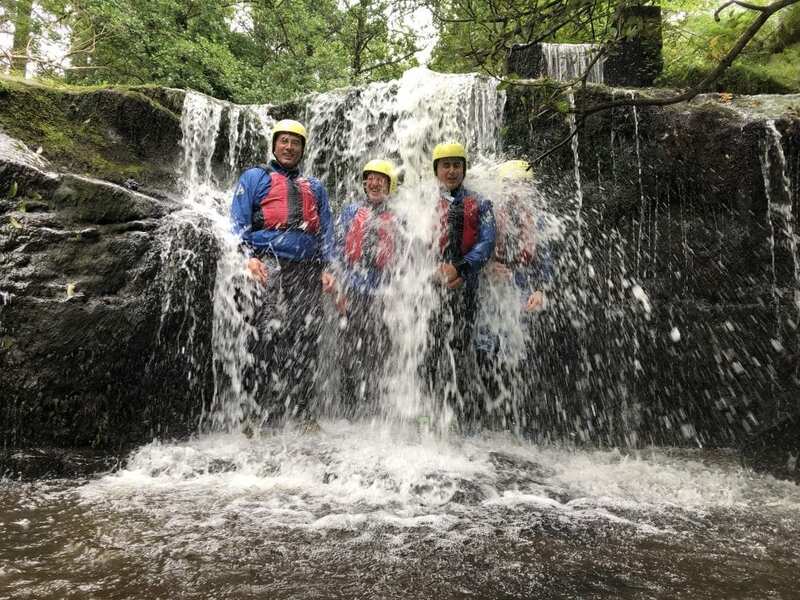 Gorge walking / scrambling is a great activity all the year round and can be enjoyed by most people including families, groups, stag parties, hen parties, school groups, youth groups and is great for corporate events. No matter the weather (you’re going to get pretty wet anyway) this is an adrenaline filled, challenging and rewarding adventure! 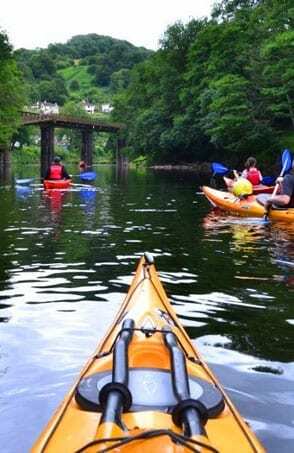 It is one of the most popular activities in the Brecon Beacons due to the many beautiful gorges, rivers and waterfalls in the area. 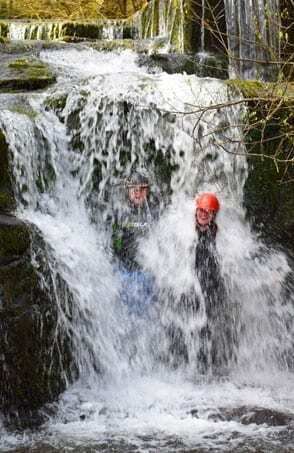 On a gorge walking / scrambling trip with us we’ll show you a side of the Brecons you won’t see any other way, including some stunning hidden waterfalls only accessible by river. 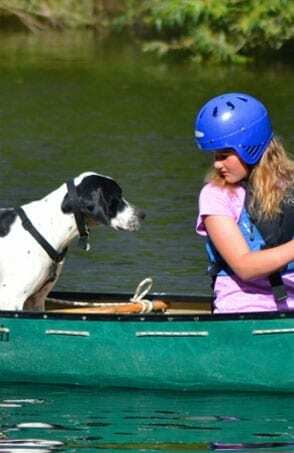 A buoyancy aid and helmet. A qualified and experienced guide to lead you through the gorge. A safety brief relevant to the gorge you will be adventuring in to. Your guide for the session will also show you the basic skills required to tackle each feature. 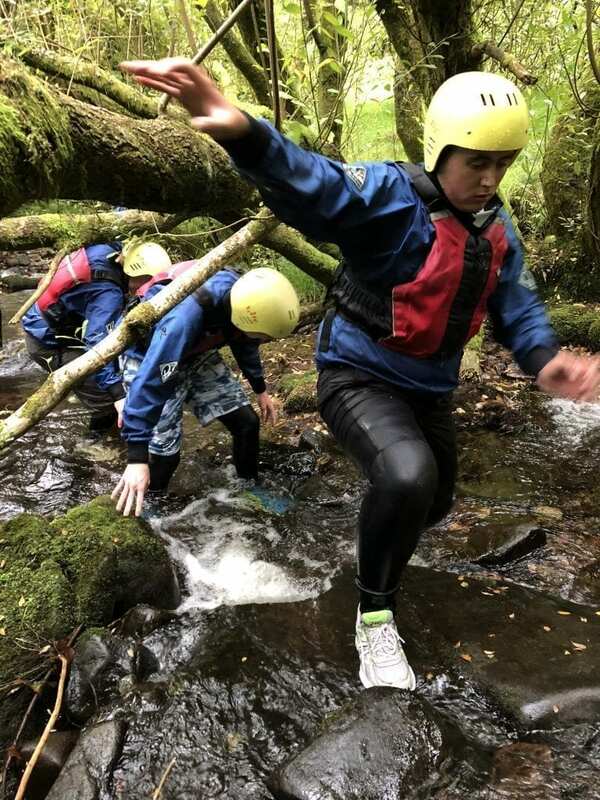 By its nature gorge walking / scrambling is a wet activity – scrambling up rivers, climbing over rocks and boulders and traversing under waterfalls. 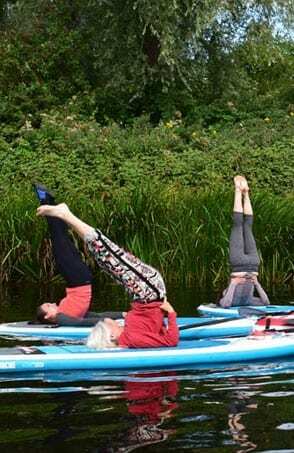 Therefore we advise you have solid footwear (that won’t come off when wet), as well as a wetsuit as you will be spending prolonged time in the water. 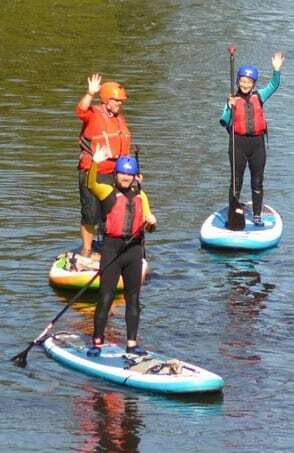 We can provide a wetsuit at a cost of £5 to hire. Please bring a pair of shorts to wear over your wetsuit if hiring. You will also need a towel and a change of (warm) clothes for afterwards. Please note, there are no specific changing rooms or toilets at the gorges, but you are welcome to get changed in the privacy of our van. 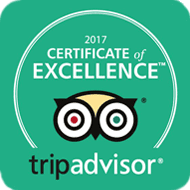 Way2Go Adventures offer gorge walking / scrambling at 2 stunning locations in the Brecon Beacons National Park. These are ‘Blaen-y-Glyn’ gorge (near Talybont-on-Usk) and ‘Clydach’ gorge (near Abergavenny). 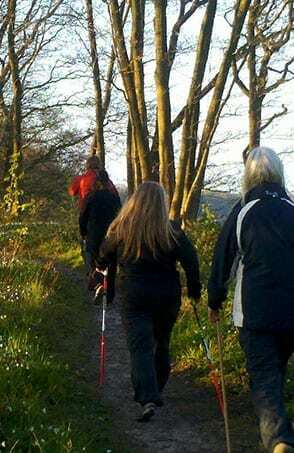 On the day of your activity we will meet you at a designated car park and all information will be provided on booking. 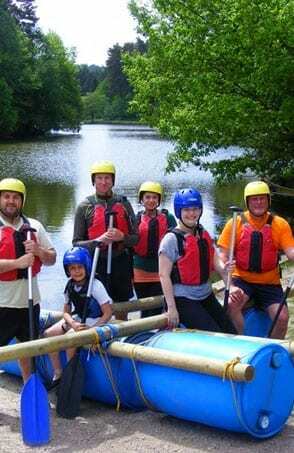 Gorge walking / scrambling is a full-on activity, therefore we only offer a half day trip. 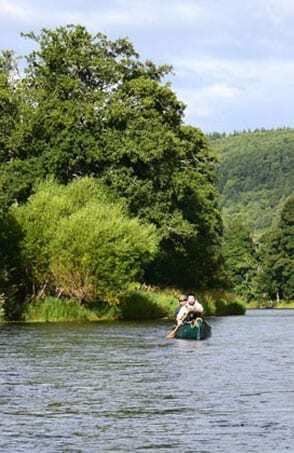 However, we do offer a combined day of gorge walking with another activity in the Brecon Beacons if you are feeling adventurous, including canoeing, kayaking or SUP on a peaceful canal or reservoir, with fantastic mountain views! Get in contact if you would like us to organise a day of activities for you.